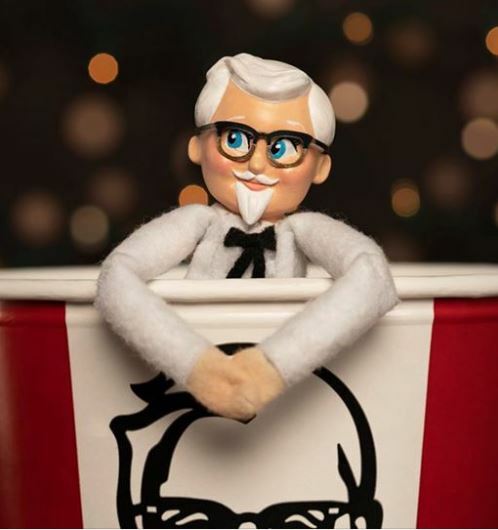 KFC Canada just published a new Contest, enter to get an opportunity to Win 1 of 5 prize packs of a KFC Sanders’ Little Helper doll and a $150 gift card. This contest is open to all legal residents of Canada (excluding the province of Quebec) who have reached the age of 16 years at the time of entry. To enter you need to visit the official KFC Canada Facebook page and look for the post promoting this contest (you can click here to go directly) and comment on it. You can also do this on Instagram and Twitter. This contest closes on Sunday, December 9, 2018 at 11:59 pm ET. Winners will be selected by random draw from all eligible entries. There are 5 prizes available to be won, each consists of a KFC Sander's Little Helper doll and one $150 KFC Canada gift card. The KFC Canada Contest will take place from Thursday, November 29th, 2018 at 4:00 PM ET until Sunday, December 9, 2018 at 11:59 PM ET. The prize draw will be held on December 10, 2018. Winners will be notified through the relevant social media account.